Of course, it’s not as simple as going to the ATM and withdrawing money that you need. It takes some time, and a little technical know-how to achieve. But if you’re committed and motivated to create another stream of income that will help you pay off your debts, blogging can be your answer. Here’s how you can build a blog that earns. Setting up one is free! Then pick a good blog name. Use the right keywords that will describe your blog. It’s important for visitors to know what your blog is about. Make your blog name short and easy to remember. This makes it easy for your visitors to type it on the browser. Also, select a blog theme that’s easy on the eyes, with plugins that are functional. Write attention-grabbing headlines, because this is what visitors will first see and make them decide whether they should visit your site or not. Make your blog titles as targeted as possible for your audience. Give promise of a solution or information, and use your target keywords when you can. Find relevant blog topics that visitors will be interested to read. For your blog to be lucrative, you need to regularly churn out posts that are interesting and engaging. Diversify your blog topics without straying too far from your umbrella topic. Don’t ignore the comments section, either, because you can get topic ideas from them based on their responses and queries. Write excellent content that will be shared a thousand times over on social media. This is how you can get an increase in visitors to your site, as well as expand your reach and grow your blog following. If you want to fast track getting your blog recognized in the virtual world, then you should also look into paid advertising to help boost recognition and awareness to your site. This will be an additional expense but not at the level of traditional advertising costs. Best if you can plan a minimal budget around it to include in your starting capital or consider applying online for a personal loan for your start-up fund to prevent dipping into your financial reserves. Depending on the amount of effort and the kind of content that you put on your blog, you can earn a few hundred dollars or more each month. If you want to get out of debt by blogging, you need to make sure that your blog is earning money. You can have display ads on your blog. It’s those things that you see on the top, on the side, or on the footer of a page you’re viewing. For the reader, they’re annoying, but for the blog owner, that means money. Learning Google Adsense will also be beneficial because you get to earn every time your visitor clicks on any of the ads on your page. You can also place private ads on your blog. Private ads are just like the huge billboards that you see along EDSA that promote a product or a service. You earn when businesses buy an advertising space on your blog. Much like how celebrities post different products on their Instagram, Snapchat or Twitter, you promote a product on your blog and receive a commission for every sale. 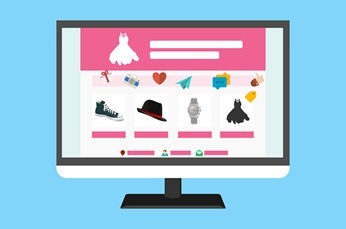 When visitors click the product link, it takes them to the site where they can purchase the product, and that’s how you earn money. Companies can send you free products that you will try and write about on your blog. They will pay you to write the review, whether it’s a favorable one or not. It’s what you can call a sponsored post. But of course, you can choose to review products that you personally use and find beneficial. These days, you can sell practically anything online. You just need to find a way to attract the right kind of customers to your site and make sure that they spend as much time there as possible. What kind of products can you sell, you ask? Anything from consumer goods and services to software, domains, e-books, stock photos, online courses, webinars, and even downloads! Blogging is a lucrative source of income that can get you out of debt sooner rather than later. That is if you know how to make your blog work for you. Blogging is not your only option, though. You can still go the traditional route and take out a Security Bank personal loan to consolidate your debts. That works just as well, too! Follow us on Facebook, Instagram and Twitter. Join us in Truly Rich Club! This article is contributed by iMoney Philippines, a premier financial comparison site that aims to provide awareness regarding various financial products and services as well as practical money savings tips and sound investment advice.